“Lounge-book” is more than a laptop cooling stand. 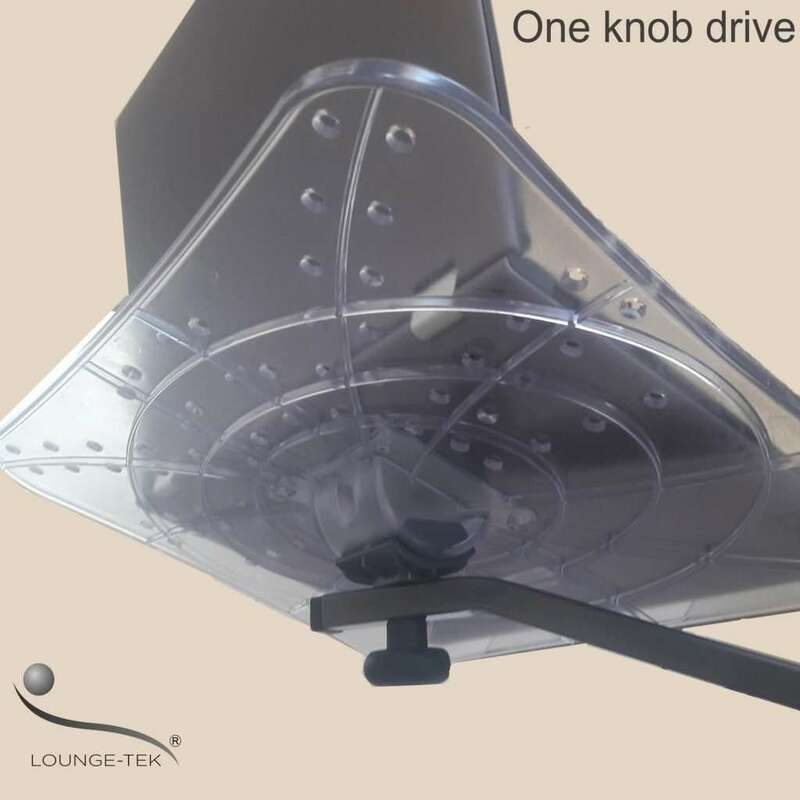 “Lounge-book” is also a fully adjustable ergonomic support, that improve ergonomic features of portable computers. Laptop overheating has become one of the most common issues for laptop users. One highly possible culprit of laptop overheating is insufficient cooling. You will need to rule out anything that can keep your laptop from getting adequate cooling. Laptop overheathing: the main cause is a wrong air flow. The vents of your computer are supposed to be cleaned and cleared. The dirt covering these vents will prevent the air from flowing in and out, and therefore results in high temperature. Place your laptop on a hard and flat surface that will be less likely to block the airflow. 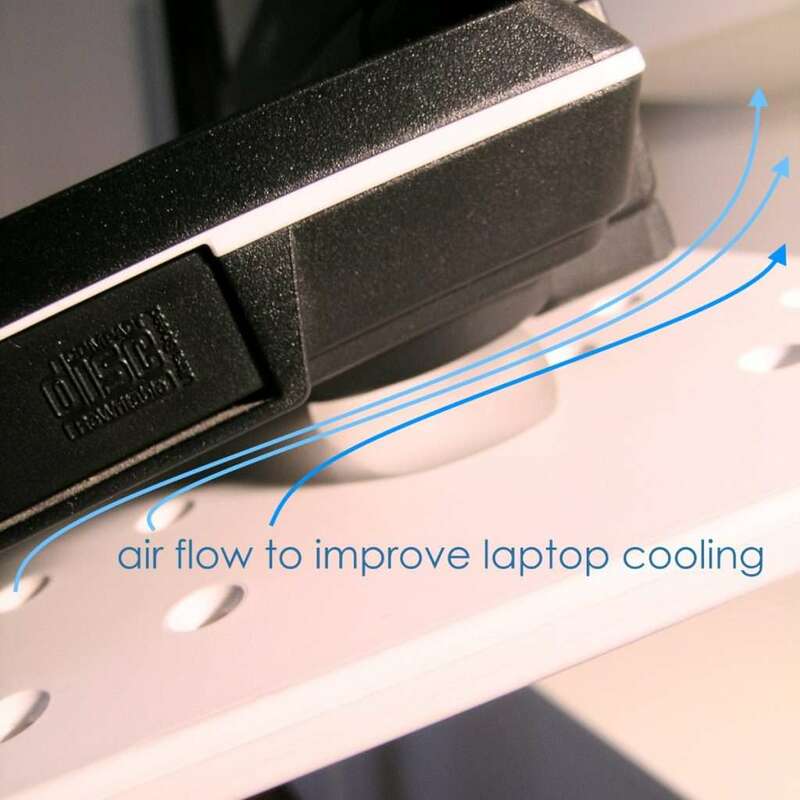 Soft surfaces like quilt or sofa can stop the proper airflow of your laptop and lead to overheating. “Lounge-book” works as a laptop cooler ensuring the proper air flow on the bottom of your laptop and help it get enough cool air. “Lounge-book” assure the perfect air flow under the laptop thanks to the special holes positioned on the laptop-tray and “coolfit” the special feets made by technogel that raise the computer, improving stability and air flow. Prolonged Use of Laptops Can Cause Toasted Skin Syndrome.The bottom of laptops can get very hot … this heat comes from operating hard drives, processors, batteries, and other internal electronic mechanisms. Studies have shown that prolonged exposure to heat on the upper legs can cause ‘Toasted Skin Syndrome,’ a brownish discoloration of the skin. In some cases, this skin darkening can become permanent and in rare cases, the damage may lead to skin cancer. Previous post: Don’t keep Laptop on your lap!